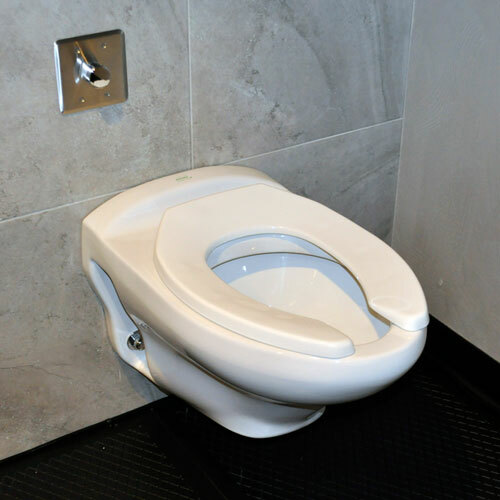 The interface of atmospheric pressure at the toilet bowl and a constant vacuum pressure in the waste piping network provides a highly efficient flush, using only ½ gallon of water. When the push button is activated, the Extraction Valve opens, allowing atmospheric pressure to push toilet waste into the vacuum piping and toward the vacuum center. A water valve is simultaneously activated, allowing the toilet to be rinsed and refilled. 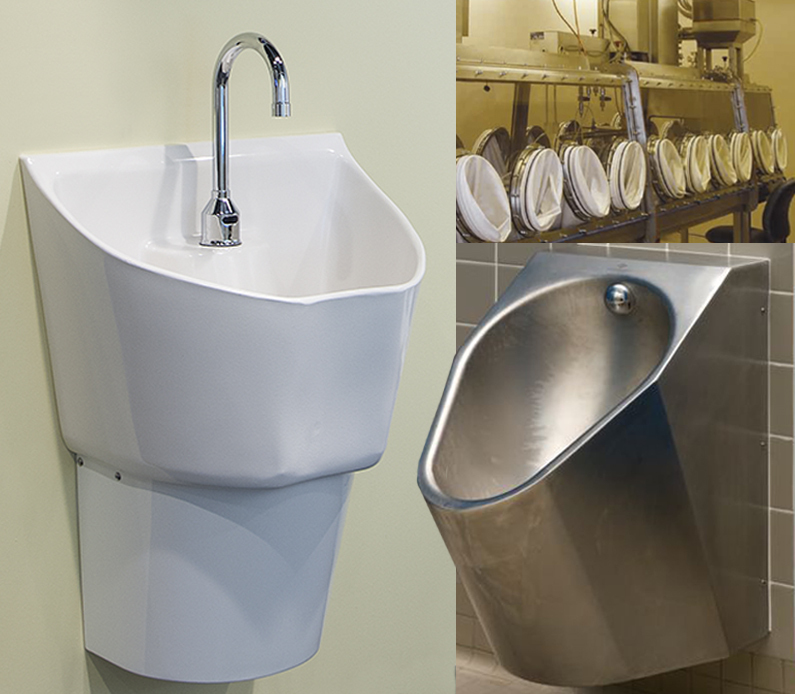 Wastewater from plumbing fixtures flows via gravity into an Accumulator (collection point), typically located behind or below the equipment. When the waste reaches a pre-determined level in the Accumulator, the controller automatically opens the normally closed Extraction Valve, allowing the vacuum to evacuate the collected waste into the vacuum piping network for delivery to the Vacuum Center. Overhead piping can be routed where convenient in the ceiling space or across an entire facility in shallow trenching. 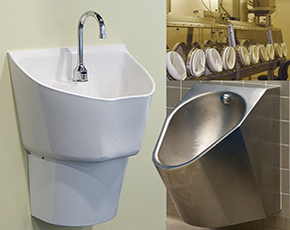 AcornVac’s vacuum plumbing solutions can easily accommodate special equipment found in most medical facilities, such as scrub sinks and autoclaves. The Vacuum Center includes vacuum pumps, waste collection tanks and controls that automate the operation of the system. Waste is delivered from fixtures and equipment to the vacuum center waste collection tanks via the vacuum piping network, where it is temporarily held before discharge to sanitary sewer mains or waste treatment facilities. The vacuum system may also include sewage grinding and discharge pumps to pump waste from the collection tanks into the sewer.